Gamers contributed more money than ever this year to help sick kids ease their pain through gaming. 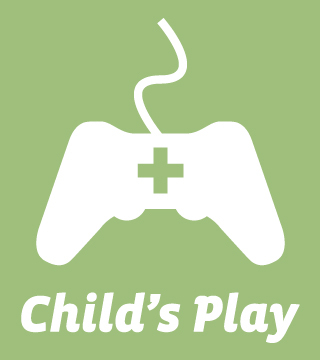 The guys from Penny Arcade started the Child's Play charity mostly on a lark. True story. Tired of gamers being stereotyped as lazy no-goodniks, they started collecting donations of old games and consoles to give to a local youth hospital. That enterprise has grown exponentially, with a network of 80 hospitals benefiting from hundreds of gamer community events and donations from corporations to like you. Loading Ready Run's Desert Bus for Hope is just one of these awesome charitable events that contributed to another record breaking year for Child's Play. The charity donated $3,512,345 in 2011, beating out last year's total of $2.3 million. "Let that sink in for a second," said Child's Play Project Manager Jamie Dillon. "Over three and a half million dollars going to hospitals worldwide to ease the suffering of kids when they need it most. All because you, as a community, came together to make a difference. And what a difference it is. "The generosity of gamers has yet again been overwhelming, and our total for 2011 is a number we both amazed and humbled by," Dillon continued. "Moving in to 2012, our bar is high: $3.5 million could be tough to beat. But if we've learned one thing, it is to never underestimate the generosity of the gaming community. Each year has surpassed our expectations, and we move in to 2012 with confidence and enthusiasm." You heard him, gamers. Time to head over to buy a Humble Bundle or three, or maybe think about how much you want to pay for one of The Escapist's lot in the Desert Bus for Hope auction. We already have some great swag in the pile. Who wants a limited edition Cole Train statue? Yay! This is very good news. I'm glad to see that Child's Play beat it's record and I'm sure it'll do even better this year. Now if you'll excuse me, *waits until Desert Bus 6. In all seriousness, go gamers. We rock. Kudos to the PA team and everybody who donated. I'll second the anticipation for desert bus 6-I think those guys alone raised about 10% of the total raised this year. ...I kind of feel bad that I've never donated a single cent to anything. I'm glad that this amount of money was raised, and for a good cause too! It goes to show that humanity can truly do incredible things...If we can just stop being bigoted, egocentric fools. Apart from those few millions who paid 1p and made them loose money. I've looked around and cant really find this story on any non-videogame news outlets. Maybe it doesn't fit with their narrative. I love Child's Play. And not just because they gave me a 3DS. I was there at Desert Bus 5 and witnessed firsthand the staggering amount of money that people gave. It's really quite something.